In my last post I told you about a new store I found called "Ollies". They advertise low prices, 70 to 80% off retail.. Well today Mr Lou and I decided to take a ride down there. 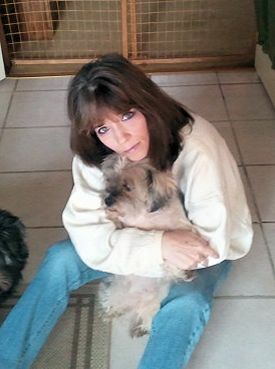 I really didn't feel like going out because I've been running all week long but it's going to rain today and we also have to do what is called a "curve test" on Lady for her diabetes today and Saturday. For all who don't know what a curve test is, we have to take her blood every 3 hours or so and check it on a blood sugar meter calibrated for dogs blood to get an idea of where her blood sugar is all day and night. It's going to be a long night. Here is a photo I took of me and my girl today.. Anyhow, back to my "Ollies" experience. I"m sorry I didn't take any photos of the store but I got so excited I forgot to pull out my cell phone.. Yes, I"m a recovering? shopaholic.. LOL.. The store is HUGE..it's in a building that used to be a Piggly Wiggly grocery. They have SO many items. From food all the way to furniture items. Yes they do have pretty good prices but I noticed while walking around checking things out you have to be careful what you buy. A lot of items are priced nicely but then there are items that I have seen cheaper in places like COSTCO. For instance, I was looking for a new 6 X 9 rug for underneath my dining room table. COSTCO had them the other day for $18.99 while Ollies had them today for $29.99. So as I said, you need to pay attention to prices. I also said we were going to just look. I should know better. That never happens with me which is why I usually give up shopping for Lent. It's one of my most favorite things to do. It doesn't matter what kind of shopping. Even food shopping I like. Sick, I know.. I did pick up a few items and thought I'd share them with you. I got this cute rug for in front of my sink in the kitchen. I love love love Roosters so when I saw this I knew it was coming home with me. Price : $5.00. Its also fully machine washable and I can put it in the dryer. 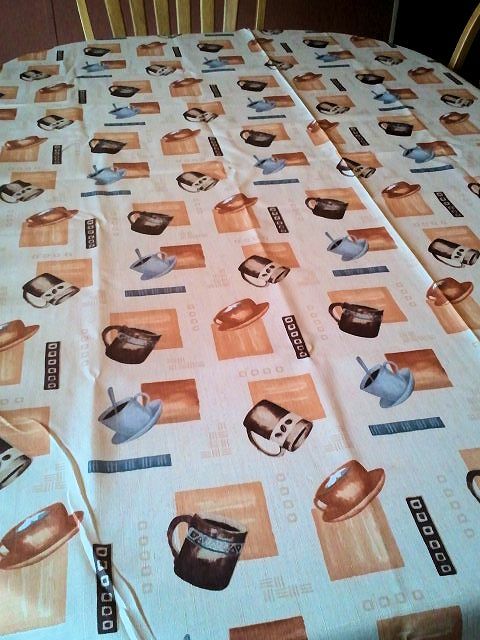 Then I saw this really cute material table cloth for $7.99 which is cheap for a material tablecloth. It's not thin either. It seems to be of good quality. I still have to wash and iron it so thats why it's wrinkled but I wanted to get a photo to show you. I love the colors as they match my dining room /kitchen colors. 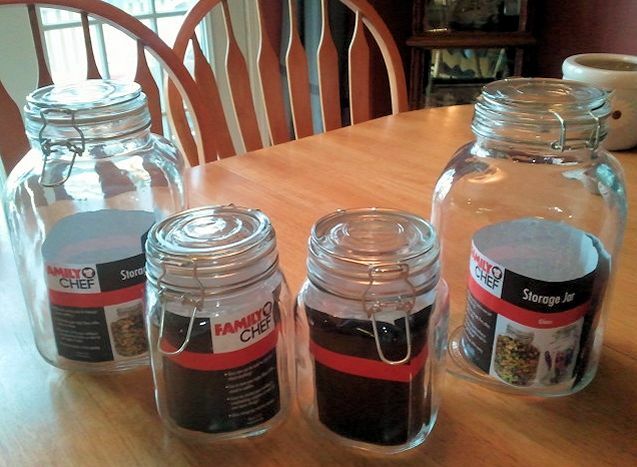 Next I found these awesome Family Chef jars. I've been wanting to get some of these for my sugar, flour etc but they can be so expensive.. I only paid $4.99 a jar! Now thats a bargain. In the front of the store I passed these going in and made sure to stop and look on the way out.. I have my 3 plants in these ugly plastic pots and have been wanting to replace them but once again, ceramic pots can also be expensive. 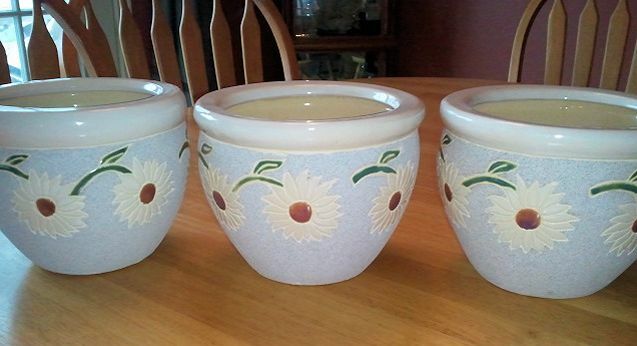 I found these and love them because I also love Sunflowers and I paid only $2.99 per pot! I really need to use my better camera for photos. These pots look blue but they aren't. They are actually a light gray. I just love the design. Mr Lou grabbed a few things.. Food.. which didn't surprise me. He grabbed a couple cans of peanuts and a huge container of Carmel Corn, one of his favorites. We also checked out new flooring as I need a new kitchen floor, dining room floor and I have to replace carpeting in three rooms. The prices were better than most places. A pretty large selection but we'll have to save the money for that. Lastly, as we were checking out I couldn't help myself. 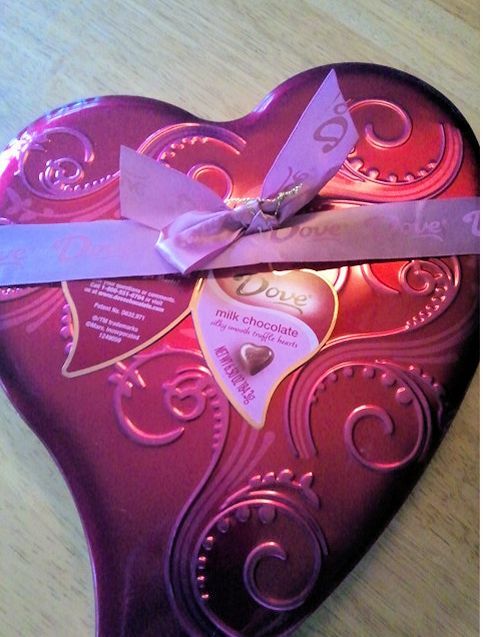 I LOVE Dove chocolate.. Its GOOD chocolate so I grabbed myself one of these. Haven't opened it yet but you can bet I will this weekend! I also picked up a new cover for the toilet seat in the master bath for $1.99 and 2 bath rugs for $3.00 a piece. Good quality, not thin. My total shopping trip came to $95.00 with tax. So all in all for the things we got not too bad and the best part. I paid cash for everything. No more credit cards as we are trying to pay them off and I paid off my first one yesterday. Have you done anything to save money this week? Paid off any debt? Found any bargains? Leave a comment and let us know! I have never heard of Ollies. I live in the boonies so we don't have outlet stores around here. 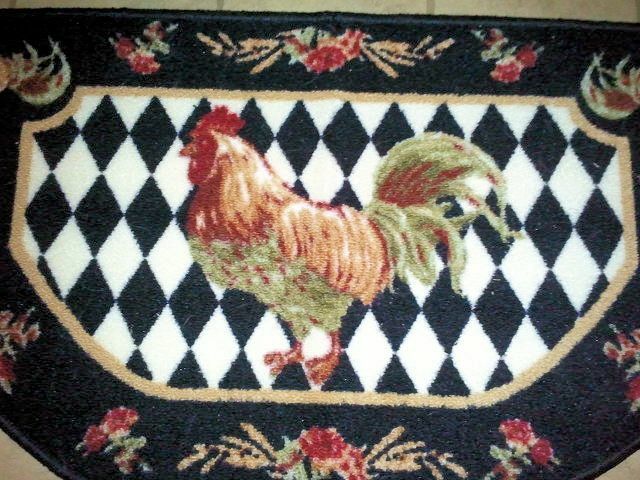 I like the rooster rug you bought and love the Dove's chocolate. wow! You did get some good buys. So which Pig store was this at??? You can send me a message on facebook!